Holi is a Hindu spring festival in India and Nepal, also known as the festival of colours or the festival of sharing love. Holi is a two-day festival which starts on the Purnima (Full Moon day) falling in the Bikram Sambat Hindu Calendar month of Falgun, which falls somewhere between the end of February and the middle of March in the Gregorian calendar. 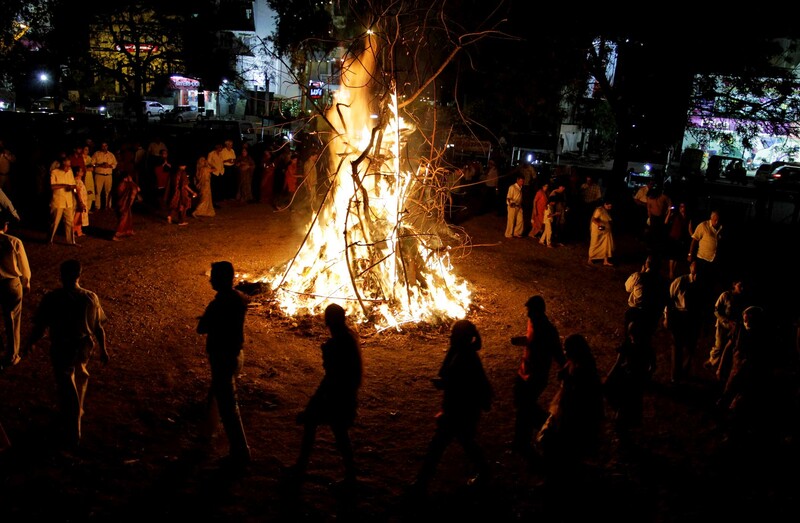 The first day is known as Holika Dahan or Chhoti Holi.